Our energy expert associates and friends insisted to us that the price of oil would never go down. This after we have told them on two or three other occassions that the price would go down. It always has and always will until the last drop is burned in the last internal combustion engine. In the current situation it is a combination of a pending election, sluggish economy and reduction in demand due to high gasoline prices. Regardless, it has killed technological proposals (again). AAEA opposes expanded offshore drilling but we support coal-to-liquids (CTLs). CTLs need oil to be above roughly $100 a barrel in order to be cost competitive with crude. The price of a barrel of light crude oil for delivery in December is about $67 per barrel, down from $145 in July. Other hydrocarbon fuels will mirror this drop. Expect prices to go back up for the summer 2009 driving season. At least the renewables tax extensions passed, even if they were included in that horrible Wall Street 'bailout' bill. Let the market work. Title I, Section 107. Contracting Procedures. It is being reported that Tesla Motors if delaying the production of its battery-powered car. It is laying off staff and shaking up management. This is a real blow to electric vehicle penetration into the American car market. The Tesla Roadster was to cost $60,000 and was going to debut the car in 2009, but is delaying the introduction to 2011. The car is named for Serbian electricity genius Nikola Tesla. The vehicle is being produced by PayPal co-founder Elon Musk. The National Association of Energy Service Companies (NAESCO) will hold its 25th Annual Conference on October 28-29 at the Fairmont Miramar Hotel, Santa Monica, CA. The event will focus on the landscape for energy efficiency over the last quarter century, addressing concepts like "negawatts," "an energy efficiency power plant," "energy efficiency as the first fuel in the loading order." AAEA President Norris McDonald partnered with NAESCO in 1985 to draft legislation and lobby for the passage of the Federal Shared Energy Savings Act of 1986. The legislation was signed into law by President Ronald Reagan in April 1986. Although we like the chlorofluorocarbon (CFC) inhalers better, they destroy atmospheric ozone that protects us from the negative effects of ultra violet radiation. Our president informs us that asthmatics should also be careful because the propellent in the hydrofluoroalkanes (HFA) is ethanol-based and, in his experience, can irritate faster than the CFC inhaler. In accordance with an FDA Final Rule and under the authority of the Clean Air Act of the U.S. Environmental Protection Agency, no CFC-propelled albuterol inhalers can be produced, marketed, or sold in the United States after December 31, 2008. How depressing. It is estimated that these inhalers destroy less than 1% of atmospheric ozone. African American-owned Integrated Capital LLC (IC) owns the Residence Inn at National Harbor. IC Founder Kenneth Fearn acquired the hotel through a partnership with Marriott. Marriott's Diversity Ownership Initiative was designed to assist with the acquisition and ownership of hotels. 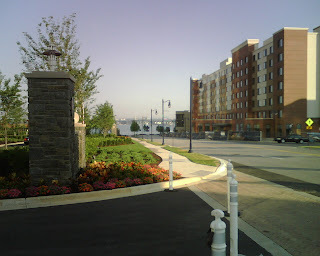 The Residence Inn opened for business in 2008 along with the opening of the magnificient National Harbor, located along the Potomac River in Prince George's County Maryland. Integrated Capital, LLC is a real estate private equity group with a focus on hospitality. The principals of Integrated Capital have more than a decade of hospitality experience and have been directly involved in more than $1 billion of hospitality acquisition activity. The company is focused on acquisition, development, and operations of hotel assets. At the very highest levels of American society, the African American is rendered invisible. In order to be a 'viable' candidate for the American presidency, even Barack Obama must avoid being perceived as black. He cannot talk about black issues [except for one speech]. In fact he has been required to studiously avoid the subject, even if anyone else brings it up. Jesse Jackson and Al Sharpton are portrayed by mainstream America as somehow being 'bad' because they aggressively address issues of concern to the black community. Why do whites want to avoid it so badly? Why are blacks virtually obsessed with talking about it? What is the nature of this phenomenon that makes black bad and subject to invisibility? If you are white and simply reading this makes you feel uncomfortable, then you know what we are talking about. AAEA was created, in part, to directly, aggressively and efficiently address environmental issues in the black community. This has rendered us, and others like us, invisible. Conversely, in many instances, we are also rendered invisible when we wander 'off the plantation'- - address issues other than those assigned as black, i.e. environmental racism, green jobs, environmental justice, protest marches. 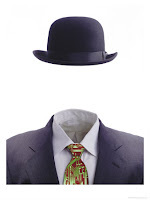 Because AAEA often wanders way off the plantation in addressing environmental issues, we receive extra invisibility. Our researchers have identified this as a vast Pavlovian attempt to train us to 'stay in our place.' The media, itself challenged in this area, perpetuates these environmental conditions. Some businesses and institutions adhere to the 'one black rule (OBR),' whereby only one professional black is hired to mitigate charges of employment discrimination. Most environmental groups do not even bother with the OBR and are secretly proud of their demographic status. These same businesses, institutions and groups hire plenty of blacks in administrative positions, rendering this population invisible at the policy and decision-making levels. Of course, the Vice President for Outreach and Human Resources positions are utilized to adhere to the OBR at the management level. [our word] blacks gives the majority white population advantages ['white privilege'] that keep the distribution of resources in its favor. The Bradley Effect in the current presidential race is but a manifestation of invisiblizing because Obama had to throw everything black under the bus AND have a white mother in order to 'qualify.' Yet for many even that is not enough. Everybody knows this election would be a runaway landslide if only Obama's skin was white. Unfortunately, if he wins, he will have to continue with the invisiblizing in order to get reelected. We guess the black communities in virtually every city in the United States will continue to be invisible to white America in order to maintain the illusion of integration and to promote the image of a united society. However, we believe the black community is as American as apple pie and should be celebrated. Our celebration, without restrictions, will continue. President's Corner: Breast Cancer--Environment or Heredity? My mother, Katie Louvenia Best-McDonald, right, died of breast cancer when she was 26 years old. I was seven. I remember bursting into her bedroom door when I was maybe 4 or 5 years old and I saw the long scar on the right side of her chest. Yet she is the only woman in our family lineage that I know of who died from breast cancer. She grew up in rural North Carolina in the 40's and 50's and I always wondered if she was exposed somehow. Yet I found out that she did not work in the fields because her father was a very successful tenant farmer. So is breast cancer mostly inherited or do environmental factors play a role? I recently saw a copy of Today's Black Woman in the grocery store check out line and bought it because of an article entitled "The State of Black Health Today." In a Special Report, it was noted that African-American women have a genetic marker that increases their risk for invasive breast cancer, a mitochondrial DNA allele numbered 10398A. It was also cited that black women may be less likely to undergo appropriate treatment for breast cancer "because of a higher frequency of low income, single-parent households." So black women are dying from breast cancer at a much faster rate than women of other races. What do you think? Not that we feel entitled to be included in every report about nuclear power, but we do feel that we should be included sometimes, anytime in a report about nuclear power. After all, AAEA was not ONLY the first environmental group in the United States to publicly support nuclear power, but is still the ONLY environmental group in the U.S. that actively and publicly supports the technology. Our president was the first environmentalist to publicly support nuclear power in the United States starting in 2001. CNBC somehow missed us in their one hour report on Oct 14, 2008. This continues an unusual pattern of AAEA being overlooked for getting out front on this issue well before any other environmentalist or environmental group. One would think it would at least merit mention in a one hour cable news show special. CNBC took out a full page ad for the show in The Wall Street Journal. It featured a picture of Melissa Francis as the reporter for this episode. How did you miss us Melissa? 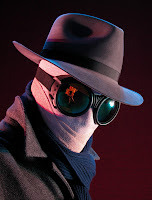 Maybe our visits to so many nuclear plants and facilities all over the world have rendered us invisible. The ad says, "Powering America's Future" with a subtitle of "The Nuclear Option." The description says "Nuclear energy is arguably cleaner, cheaper and more efficient than oil. Still, it's faced decades of resistance in America. Join CNBC for a provocative look at the facts and fears behind this controversial source of energy. We'll show you why some are even arguing for a nuclear power plant in their own backyard." The WSJ ad had a typical picture of a cooling tower instead of a containment dome, which is really the most important part of a nuclear plant. Enron filed for bankruptcy on December 2, 2001. Everybody cried foul and scorned the company for cooking its books right out of business and taking its loyal employees' retirement accounts with them. The outrage even led to the passage of the Sabanes-Oxley Act, which was supposed to guard against another Enron meltdown. Well now what is the difference between what is going on now and what was going on with Enron seven years ago? Nothing. Except there are many more Enrons going under. Now Wall Street firms are in unemployment lines, using food stamps and waiting for a monthly welfare check. Many of these same people looked down on regular welfare recipients for not being able to meet their bottom lines. Now these same people could be accused of being the welfare queens they so despised. Yet the people on welfare only get crumbs from the table while the Wall Street welfare kings are getting hundreds of billions of dollars. Surely the folk living on welfare in public housing must be wondering: why didn't they just do that for us? Everybody could get off of welfare with a $1 trillion check. So if and when you big time Wall Streeters get back on your feet due to the welfare checks you are receiving, don't look down on those people in public housing on public assistance because you are no better than them. You just have better connections. 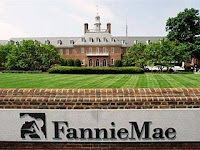 We have long believed that Fannie Mae and Freddie Mac are too large. This should have been the conclusion of Congress too after Fannie and Freddie passed the one trillion dollar mark in mortgage debt. There should be ten regional Fannies and ten regional Freddies all competing with each other. Unfortunately, the federal government will have to pick up the Fannie and Fredie debt (on budget) and collateralize each because there is no investment money available from Wall Street. We estimate that $10 billion in loans each [$200 billion total] would provide sufficient cash flow to continue purchasing loans. The industry will probably end up merging into three or four units on each side, which will still provide the appropriate level of competition. Other mortgage banks might howl foul but if we want to keep housing starts up, and the accompanying carpentry, electrician and plumbing jobs, then we probably have no choice. Already much new housing construction is being cancelled and this will clearly ripple throughout the economy if nothing is done very soon. Moreover, middle class and low-income families will suffer most from not only foreclosure, but also a tight employment market. Not only can they lose their homes, they can also lose their jobs. newly elected Congresswoman Donna Edwards, who voted for the bailout, represent Washington, D.C. suburbs with very high mortgage foreclosure rates. Edwards represents the richest majority Black county in the country that has a very high mortgage default rate. Although most of these are not necessarily low-income subprime mortgagees, they probably did bite off of a bit more than they can chew. Speaker Pelosi's proposal to bring members back after the elections to pass a stimulus package that would put some money in voters' pockets is probably a good idea in the short term. But without a structural fix in the secondary mortgage markets, we are setting ourselves up for another fall. 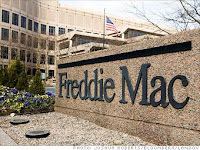 Break up Fannie and Freddie early in the 111th Congress. 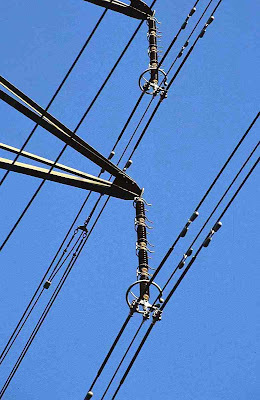 Dominion Virginia Power has received unamimous approval of its proposed 65-mile $243 million Meadow Brook-to-Loudoun 500,000 volt transmission line by the Virginia State Corporation Commission (SCC). of a critical transmission line as welcome news to the continuation of a reliable supply of electricity in the greater Northern Virginia area. The SCC ordered that the transmission project be built and operational by July 1, 2011. AAEA supports the project. The Meadow Brook-to-Loudoun power line is part of a three-state transmission line, with the other sections proposed by Allegheny Energy in Virginia, West Virginia and Pennsylvania. The Virginia SCC and the West Virginia Public Service Commission have approved Allegheny’s applications while its application is pending before the Pennsylvania Public Utility Commission. The Virginia SCC ordered that Dominion could not begin building the Meadow Brook line until all three states had approved the transmission line. 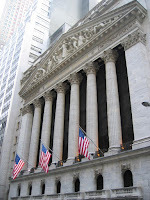 Under changes in the Emergency Economic Stabilization Act of 2008 (H.R. 1424), the Alternative Minimum Tax (ATM) exemption on income is increased to $69,950 for joint filers and $46,200 for individuals for 2008. The amount for 2007 was $66,250 for joint filers and $44,350 for individuals. If Congress had not changed the law, the amounts would have fallen to only $45,000 for joint filers and $33,750 for individuals. The AMT relief prevents 24 million families from facing an average tax increase of at least $2,000 each. It is being reported that French firm Electricite de France (EdF) is partnering with Kohlberg Kravis Roberts & Company (KKR) to make another run at purchasing Constellation Energy Group. EdF lost the bid for Constellation to Warren Buffet even though EdF's bid was higher. We believe EdF is much more likely to build a third reactor at Calvert Cliffs than Warren Buffet (MidAmerican Energy Holding Co/Berkshire Hathaway, Inc). Warren Buffet decided against building a reactor in Idaho for economic reasons. The KKR partnership will strengthen EdF's hand because a foreign firm cannot be the principal owner of an American nuclear power plant. EdF already owns a 9.5% stake in Constellation. What? EdF prefers working with KKR to Warren Buffet? Evidently. EdF/KKR better hurry because Buffet is already pursuing an 'application for indirect license transfer' from the Nuclear Regulatory Commission. We guess that transfer will have to be redirected if KKR/EdF is successful in getting their bid accepted. Constellation shareholders have sued the company for accepting the $26.50 a share offer from Buffet compared to the $35 a share offer from EdF. 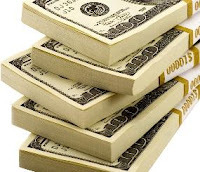 The Senate passed its financial system bailout bill (H.R. 1424) 74 to 25 on Wednesday, October 1, 2008 and the House passed the bill 263 to 171 on Friday, October 3, 2008. President Bush signed the bill into law the same day. An increase in Federal Deposit Insurance Corporation coverage of bank deposits from $100,000 to $250,000, as well as extensions of renewables tax credits [see below] and a freeze on the expansion of the Alternative Minimum Tax [25 million people] added an extra $140 billion to the original $700 billion price tag. They put the Senate version of the renewables tax package, which includes wind, solar and plug-in electric cars, in the bill (H.R. 7060). The renewables package totals about $18 billion in tax extensions, including $1.9 billion in tax credits on solar equipment purchases by solar energy producers and $5.8 billion for wind, geothermal and biomass producers. A 30 percent credit for homeowner project costs replaces the former $2,000 credit. Energy efficient appliances qualify for the credit too. Plug-in electric cars get tax credits of $2,500 to $7,500. Electric vehicle recharging stations get a one year extension on $30,000 in tax credits or up to 30% of their costs. There are $900 million in extensions for refineries using tar sands or coal-to-liquids technology. Efforts to take away tax benefits from oil and gas companies to use them as offsets for renewables repeatedly failed before being included in this legislation. 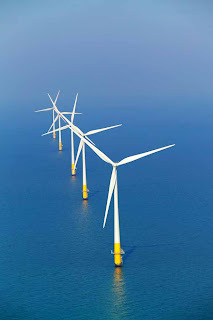 The New Jersey Board of Public Utilities (NJ BPU) today announced that it has chosen Garden State Offshore Energy (GSOE), a joint venture of PSEG Renewable Generation and Deepwater Wind, as the preferred developer of a 350-megawatt wind farm off the coast of New Jersey [see also Rhode Island decision last week]. It will be located 16 to 20 miles from the NJ coast and will have little impact on the environment and ocean views (map). As the preferred developer, GSOE will proceed with evaluation of the project's environmental impacts and wind resources quality as well as begin the permitting process at both the state and federal levels. 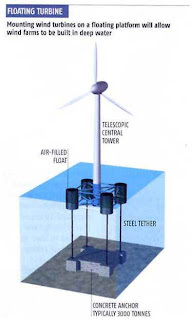 The wind farm could begin generating energy in 2012 with the entire project operational in 2013. The New Jersey Energy Master Plan (EMP) calls for 20 percent of the state's New Jersey's energy to come from renewable sources by 2020, a major portion of which is envisioned to be from offshore wind. This decision marks the state's ongoing commitment to aggressively encourage the expansion and creation of clean energy solutions to meet the state's energy needs. The foundations, turbines and towers are planned to be assembled on land and will be transported to the wind farm site via large-scale barges. Assuming a suitable site can be found, turbine assembly and port facilities are expected to be located in New Jersey and create local green jobs. The decision was the result of a process run by the BPU's Office of Clean Energy. The Garden State Energy proposal was chosen from among five submitted to New Jersey regulators for evaluation. GSOE will also receive a $4 million grant from the state of New Jersey, 10 percent of which will be received upfront to offset a portion of the costs of the studies. The remainder will be received upon commercial operations. The completion of the project is dependent on receipt of all required permits, ongoing analysis of environmental impacts, wind quality studies, energy markets, financing and other conditions. The decision to proceed, as well as final location, design and construction schedules, could be affected by these factors.
. a $105 million solar loan program (run by PSE&G).
. Operation of biomass facility in New Hampshire. Deepwater Wind was established to develop utility-scale offshore wind projects in the northeastern part of the United States. The company's major investors are D.E. Shaw & Co., a global investment and technology firm with deep experience in the energy sector and First Wind, a major developer of onshore wind projects in the United States. The Senate passed its financial system bailout bill (H.R. 1424) 74 to 25 last night. They put the Senate version of the renewables tax package, which includes wind, solar and plug-in electric cars, in the bill. House Blue Dogs and others have insisted the renewables tax incentives include offsets from other areas to avoid adding to the deficit (H.R. 7060). Efforts to take away tax benefits from oil and gas companies and use them as offsets for renewables have repeatedly failed. Now the bill goes to the House, which rejected its bailout bill 228-205.